BURBANK, California, June 28, 2018 –– Star Wars Rebels: The Complete Fourth Season delivers all 15 action-packed episodes of the hit CG animated series’ final season, plus exclusive, never-before-seen bonus extras on Blu-ray™! 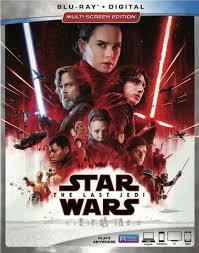 The latest chapter in the Star Wars saga, The Last Jedi, in now available on blu-ray and DVD. It’s loaded with tons of bonus features including behind the scenes videos, deleted scenes and commentary from director Rian Johnson. Get yours from your retailer of choice today! Own your copy of Star Wars: The Last Jedi! Available on Digital & Movies Anywhere March 13* and on 4K UHD | Blu-ray™ March 27*. For the full details, visit StarWars.com. 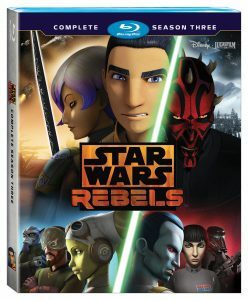 Star Wars Rebels: Season 3 will arrive on Blu-ray and DVD on August 29! Head to StarWars.com for the full details and specs. Experience Rogue One: A Star Wars Story again — and go behind the scenes with a galaxy of bonus features — when the thrilling tale of rebellion comes home on Digital HD (March 24) and Blu-ray 3D, Blu-ray, DVD, and On-Demand (April 4). You can check out the different retailer exclusives and formats at StarWars.com. Preorders open tomorrow (February 23). The digital release of The Force Awakens is a few hours away yet but this Sunday, retailers will start dropping their flyers with tie-in promos and exclusives for the launch on April 5. Target has a double page spread allotted for the event. Click on through to check out the featured items and exclusives. Thanks to TargetMaster for the images. StarWars.com has updated (finally) with the official release announcement for The Force Awakens on Blu-ray/DVD/Digital. Head on over to check out the break down of features and various retailer exclusive versions*. *A 3D version will be available later this year. Which version of #theforceawakens are you getting? Disney and Lucasfilm have announced that Season One of Star Wars Rebels will be available to purchase on Blu-ray and DVD on September 1, 2015. Click on through for the full press release. 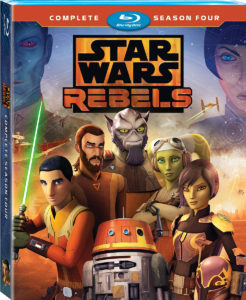 While it has yet to be officially announced (I guess this is it), the new Star Wars Rebels DVD features a trailer for The Clone Wars: The Lost Missions Blu-ray and DVD release coming Fall 2014. 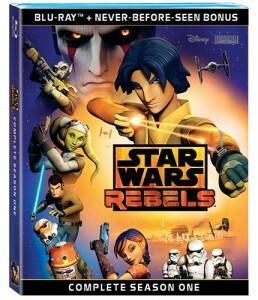 Can’t wait to watch Star Wars Rebels: Spark of Rebellion tonight or you don’t get the Disney Channel(s)? Fear not as Walmart is selling it (DVD only, there is no Blu-ray release) in stores now for $12.96. The DVD includes the 4 mini character vignettes as well as a paper craft version of our hero’s ship The Ghost.